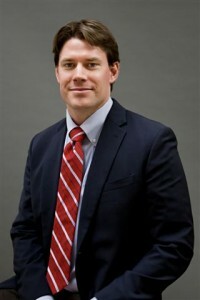 Dr. Andrew R. Simonsen is a fellowship-trained Otolaryngologist and is board certified in Otolaryngology – Head and Neck Surgery and Facial Plastic Surgery. He is a 2001 graduate of the University of Hawaii at Mānoa and holds a Bachelor of Science in Food Science and Human Nutrition. A 2005 medical school graduate of Western University in Pomona, California, he went on to complete his residency training in General Surgery, Otolaryngology – Head and Neck Surgery and Facial Plastic Surgery at University of Medicine and Dentistry of New Jersey in 2011. His residency experience included additional training at Memorial Sloan-Kettering Cancer Center and the University of North Carolina in children’s cancer, head/neck surgery and pediatric ENT. Following residency, he completed a Pediatric Otolaryngology Fellowship at the Baylor College of Medicine in Houston, Texas where he trained at Texas Children’s Hospital, the nation’s largest children’s hospital. Dr. Simonsen is an active member of the American Academy of Otolaryngology – Head and Neck Surgery (AAO-HNS), American Osteopathic Colleges of Ophthalmology and Otolaryngology – Head and Neck Surgery (AOCOO-HNS), and American Academy of Pediatrics. In addition, he has held numerous leadership positions throughout his training including voting member of the AOCOO-HNS Counsel of Residents and Fellows and chief resident of his Otolaryngology/Facial Plastic Surgery residency. Locally, he is a contributing member of the Northeast Florida Pediatric Society and the Greater Jacksonville ENT Society. His published works include multiple peer-reviewed journal articles and a text book chapter on nasal septoplasty. Academic interests include nasal reconstruction, neural regeneration and protocols for reducing medical errors. His clinical interests and experiences are focused on the medical and surgical management of ear, nose, and throat disorders in children with particular interest in pediatric nasal and sinus disease, allergic rhinitis, pediatric voice and airway disorders, sleep apnea, congenital disorders of the head and neck, and hearing loss. He considers it a great privilege to serve the children of Northeast Florida and enjoys supporting local causes. There is a good chance you will see him and his family at the Down Syndrome Association of Jacksonville’s annual “Buddy Walk” or discussing childhood communication problems at community events of the Jacksonville Speech and Hearing Center. Dr. Simonsen met his wife Sarah while swimming for the University of Hawaii where he was a scholar athlete. They now live in Jacksonville with their four children and continue to enjoy an active lifestyle swimming, surfing, playing tennis, and mountain biking.